In order to create invoices and quotes in Campus you need to set up your products and services. 1. Go to your Settings module (by clicking on the Settings item in the dropdown menu underneath the user picture top right of your screen). Then select the Money item in the submenu and then the Products item in the dropdown. You'll then be fired over to the Products page. 2. If you have no products yet then click on the Get Started button otherwise click on the Add a Product button. 3. 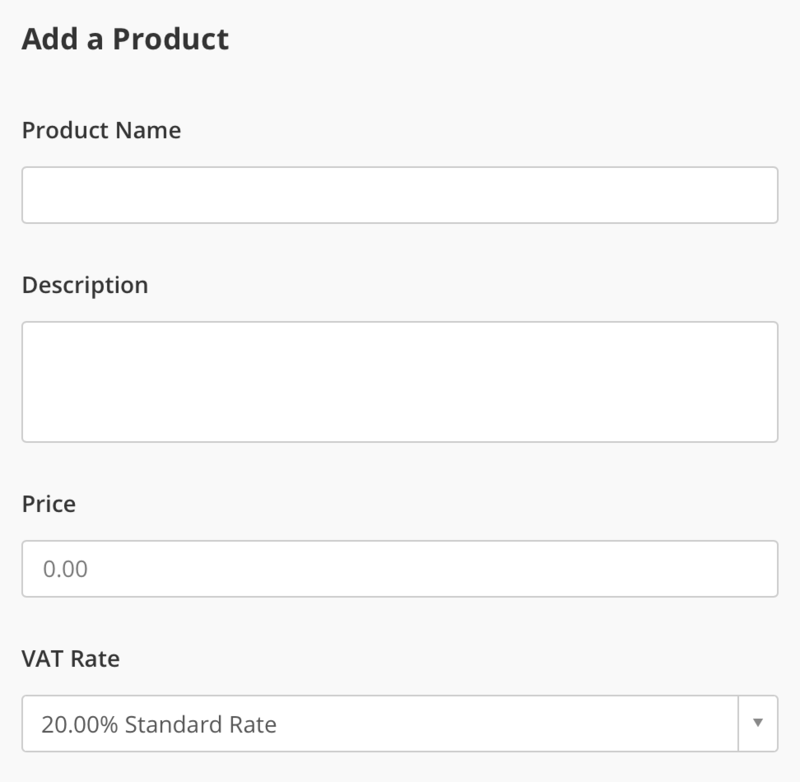 Give each of your products a Product Name, Description, Price, and VAT Rate. 1. Find the Product/Service you want to edit in your Products and Services list. 2. Hover over the product in the data grid and click on the Edit button. 3. You can now make any changes in the slide in Edit form. Once you've made the changes you require click Save and you're done. 1. Find the Product/Service you want to delete in your Products and Services list. 2. Ticks its checkbox and the click the Delete button in the data grids's header. 3. Now in the pop up message you can confirm the delete. N.B. Deleting a product or service will not remove it from past sales/quotes but will remove it as an option when creating quotes and sales going forward.